The roaring twenties are making a comeback. Is Art Deco making a comeback? We first asked the question in 2017 when we saw the sudden rise of the vintage aesthetic, bringing with it a refreshing and modern twist with thoughtful odes to an era past. Since then, a vast array of designers have released collections comprising the signature elements of Art Deco style—think geometric motifs, warm metallics, and a bold sense of movement and drama, to name a few. The reinvented take on Art Deco has inspired a seamless integration of brass and copper details within our everyday pieces and furnishings and it has most definitely been a prominent theme throughout the most recent crop of newly opened restaurants, hotels, and cafes, like Swan in Miami and Oretta in Toronto. Not entirely convinced? These swoon-worthy spots from across the globe prove that Art Deco is making a comeback. Ken Fulk is one of the major designers who is leading the revival of the Art Deco movement. His wildly celebrated style has lent itself to a myriad of new restaurant openings that emulate the modernized take on Deco. In Midtown Manhattan, Fulk oversaw the design of Felix Roasting Co., a coffee shop where a vibrant palette of muted pastels combine with captivating metal finishes and layers of pattern to boot. The Milan-based Dimore Studio designed every one of the 25 rooms in the historic Parisian hotel with a distinct ode to the Art Deco influence. Each of the rooms comes with a backdrop bearing a saturated burst of color, burr walnut headboards paired with geometric motifs, and decorative drama to spare. Seattle is the latest and very recent addition to the hotel group’s growing portfolio, nestled in the historic University District of the city. Playing to the 1930s-inspired setting, the hotel’s design scheme is composed of artful nods to Art Deco—spot the scalloped headboards and vintage sconces—with a handful of cheeky moments as well—custom Dungeness crab wallpaper, anyone? This Parisian eatery embraces the decadence of the Deco movement to its fullest, and the result is nothing short of breathtaking. From the ornate walls and the velvet-upholstered furnishings to the luxe architecture and vibrant pops of color, the space is a vision of the celebrated era. You can find Ken Fulk’s latest venture in the heart of the Miami Design District, where the talented designer transformed the restaurant into a vibrant, Deco-meets–the tropics spin. The reserved palette of the bar-restaurant was established around a curated scope of warm, blush tones paired with stark white details and healthy pops of brass. 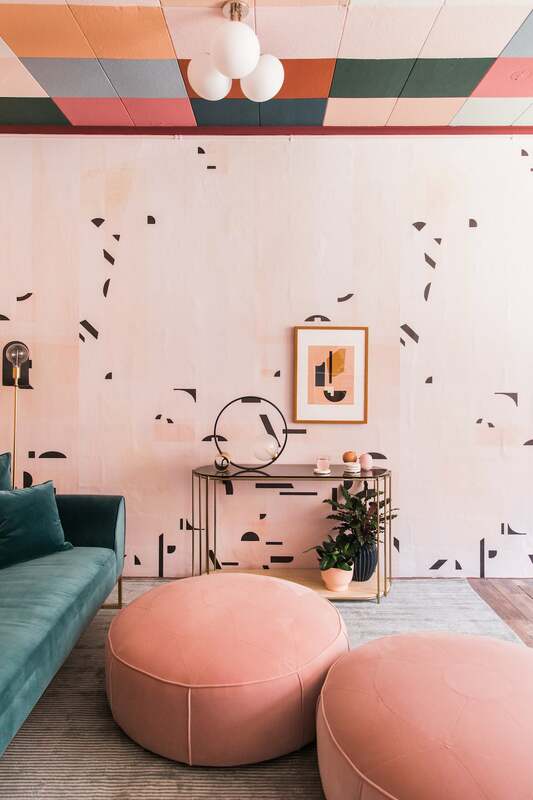 The celebrated aesthetic is reinvented with a Scandi-chic spin, courtesy of Ferm Living’s S/S 19 collection. The prominent motifs of Art Decor are clearly present throughout—the odes to geometric found by way of the tabletop accessories and the lustrous brass legs of the dining table. As of late, we’ve seen an increase in the homes that channel the design movement, present in subtle yet impactful finishes. This California-based dining room is a prime example of one. The room, designed by Natalie Myers, is all about the drama with the captivating shade of blue that establishes the backdrop and the sleek but artful metal finishes found by way of the dining chairs and statement-worthy chandelier above. While RH’s style tends to skew more toward the Cali-cool and modern, there’s no denying the old-world influence found with an array of the pieces offered. This dreamy living room setup with its ornate chandelier and gold-leaf finish mirror is a prime example.